Tata Motors Full Throttle Trails is basically a half day event and this time it will be held in Bhopal. It slated to happen on 7th of April 2013, and to be flagged off from Noor-Us-Sabah Palace. Held for just 4 hours, only 35 Tata SUVs will participate in the event, giving a back seat to the hectic work schedule of whole week. Yet planned for the very short duration, it will cover various terrains like slush beds, hills, sand beds and many others. 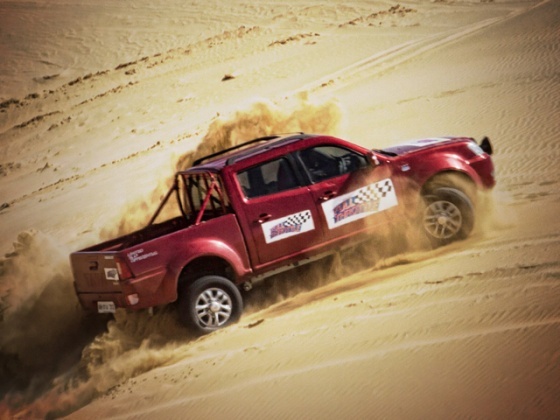 It is meant to be a complete off road experience, and is arranged by partnering with Cougar Motorsports, to pin point perfection in the planning and execution. On an important note, Tata Motors Full Throttle Trails is an initiative which is basically launched by Tata Motors Full Throttle, the motorsport division of Tata Motors. If anyone is really interested can mail Tata Motors at trails@tatamotorsfullthrottle.com or can visit www.tatamotorsfullthrottle.com.